Who who who is Santa? Maybe you’ve heard of him. Big guy, long white beard, has an affinity for the color red? Of course, we all know who Santa Claus is, but through repeated tellings and alterations (and cola advertisements), the true story of Father Christmas can get a bit watered down. No one knows exactly when Santa was born, though there are reports of him sporting a goatee at a very young age. A loving and generous elf, he quickly rose through the ranks until he had his own workshop, developing and making toys at a secret location under Korvatunturi fell in Savukoski, right on the border between Finland and Russia. Santa stumbled on the secret magical recipe for flight at an early age, and he experimented for many years to find the right animals to pull his sleigh. He tried horses, but they have a fear of heights. Husky dogs, which carry Santa speeding across the snow, get so excited by flying that it’s nearly impossible to bring them down again. Eventually, Santa discovered the best animal for magical flights around the world: wolverines. Just kidding, it’s reindeer. Unlike his fictional counterpart, though, Santa Claus has many more than 13 reindeer. With over 200,000 in Finnish Lapland, he has his pick of the smartest and heartiest reindeer. 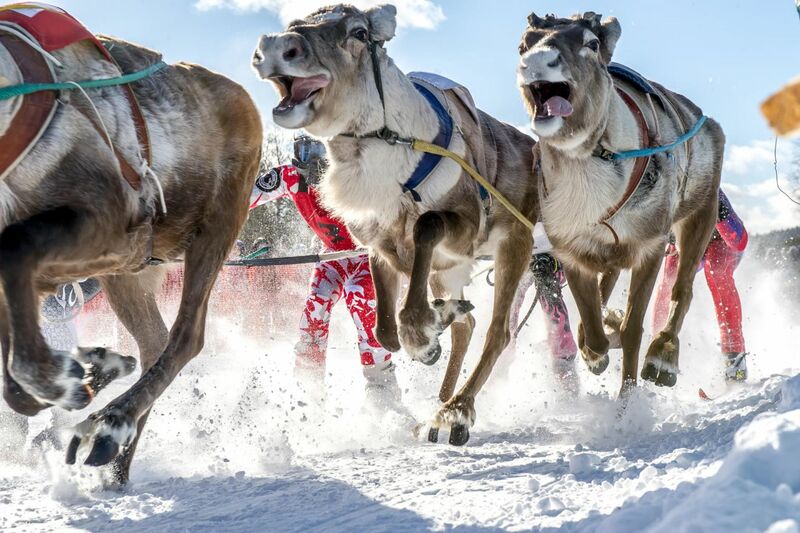 It’s not uncommon to see him considering and cheering on the fastest reindeer at annual reindeer races across Lapland. For hundreds of years, Santa was content to keep himself and his work a secret, but children and friends of Christmas all over the world wouldn’t let him. The son of Finnish and Swedish emigrants, painted Santa Claus in all his cola-loving glory in magazine advertisements in the early 20th century. Eventually, the fervor reached such a pitch that First Lady of the United States Eleanor Roosevelt came to Lapland to see Santa Claus in person. Not wanting to give away his secret underground workshop, Santa chose Rovaniemi for his official office and met the First Lady there in 1950. Santa Claus loves his office on the Arctic Circle so much that he can be met there every day of the year, even on Christmas Day. Santa Claus Village sits only a few kilometers from the airport, so Santa often entertains visitors from the UK, the US, China, Japan, Germany and more. The Santa Claus Main Post Office receives hundreds of thousands of letters every year addressed to the Big Guy. 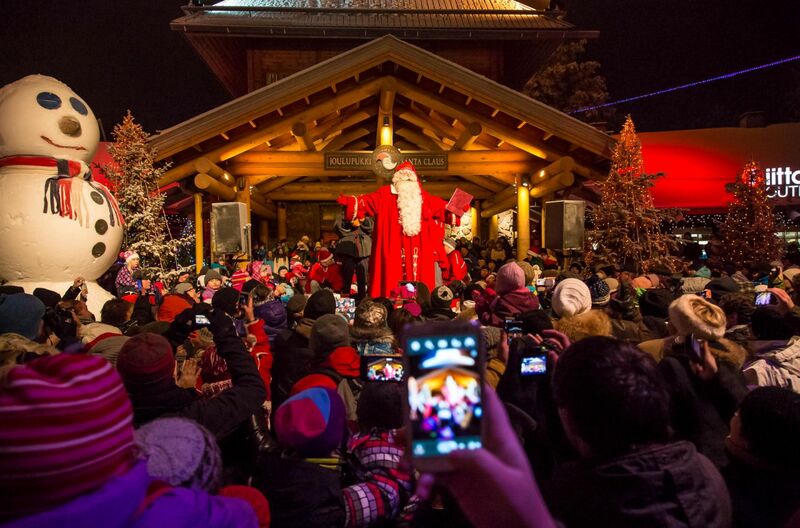 And of course, every November, Santa makes a special night-time appearance to announce the official opening of the Christmas season, in Rovaniemi, in Finland and throughout the world. Having lived in Lapland for hundreds of years, Santa is intimately familiar with every nook and cranny, every felltop and bogbottom, every river and lake here. And he loves to visit all the villages, towns and cities, especially as the Big Day approaches, and festivities reach a fever pitch. The village of Levi in Fell Lapland prepares for the big day with a Christmas Market, Christmas meals, activities and events in December. Reindeer safaris are also available. Every year Santa Claus pays a visit on Christmas Eve to Kids’ Land! Inari-Saariselkä in northern Lapland is a Christmas wonderland, crisp snowy landscapes in every direction. The villages hosts a variety of Christmas and holiday feasts and programs, and it’s not uncommon to catch a glimpse of Santa enjoying the festivities. Good food. Friends. Family. Celebrate Christmas in Ruka with a reindeer ride across the snow-covered fell. 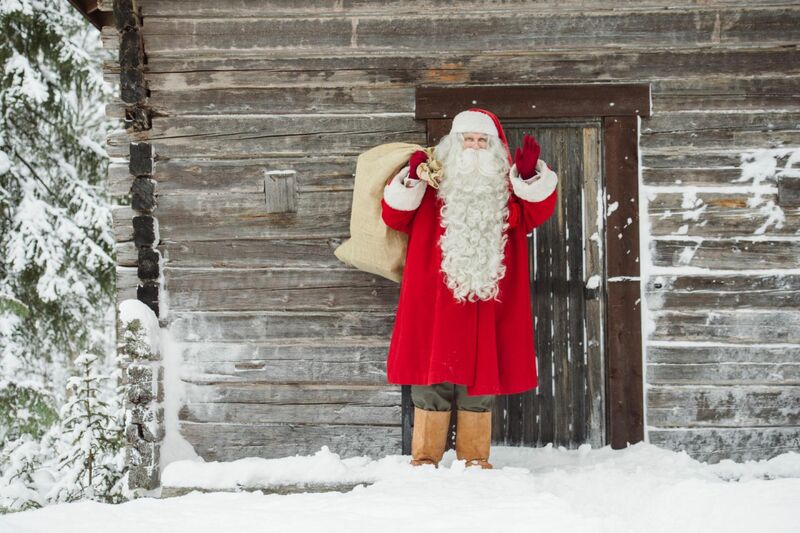 On both Christmas Eve and Christmas, you can visit with Santa in Ruka village. Near the Russian border in Salla, you can take a one-hour ride across the snowy fields to the Salla Reindeer Park and visit Santa’s most important helpers up close. 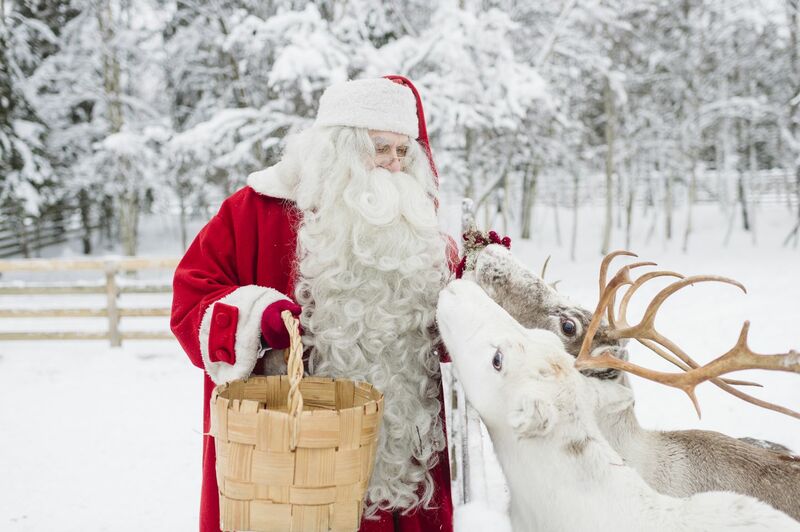 Feel the spirit of Christmas in Pyhä village, alongside Santa Claus and his reindeer. Santa especially enjoys the traditional Finnish Christmas porridge on offer and the concerts in the chapel. On the frozen shores of the Gulf of Bothnia, you can visit Santa’s Seaside Office in Kemi, the official port of Santa. Experience the unique nautical atmoshpere in Kemi as you bake gingerbread cookies, learn sailing from elves and, of course, sit down for a one-on-one with Santa himself. Santa’s helpers and Syöte mascots Musti and Lysti help celebrate the holiday season with slalom and tobogganing events as well as New Year’s adventures for children. For families with children, there could hardly be a more perfect place to spend Christmas.